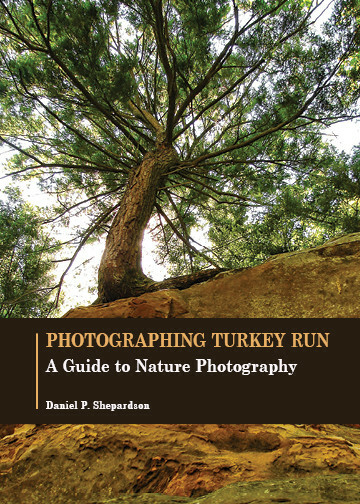 Photographing Turkey Run: A Guide to Nature Photography was written to be used in conjunction with Daniel P. Shepardson’s A Place Called Turkey Run: A Celebration of Indiana’s Second State Park in Photographs and Words. 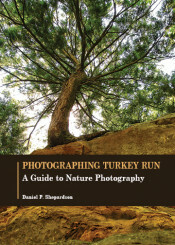 This guide contains tips and techniques designed to provide a basic understanding of how to photograph nature and improve one’s photography skills. Daniel P. Shepardson is a professor of geoenvironmental and science education in the Department of Curriculum and Instruction and the Department of Earth, Atmospheric, and Planetary Sciences at Purdue University. He received his degrees from Utah State University (BS, MS) and the University of Iowa (PhD). Shepardson has over 80 journal publications and book chapters as well as one book on science education, Assessment in Science: A Guide to Professional Development and Classroom Practice. His photographic work has appeared in national magazines, local newsletters, regional publications, and is on permanent display at the Lilly Nature Center and area hospitals as part of the Photos for Health series.